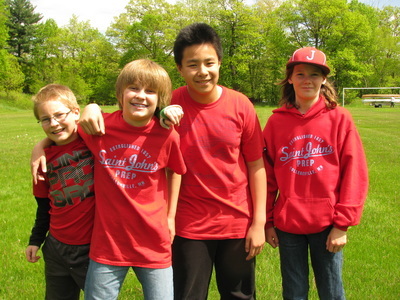 The sixth graders spent a delightful afternoon with the Saint John's Outdoor University staff. We learned all about the process of making maple syrup. It was a beautiful day in the sugar bush. The sixth graders tapped trees and collected maple sap. There are many more photos on the photo page. Our fourth interim day was filled with fun! Sixth graders started the day by learning about what life was like in a lumber camp in the late 1800s. They learned about the different roles in a lumber camp and lumberjack lingo. After the introduction to life as a lumberjack, the students played Lumberjack Bingo. Next they tackled some lumberjack math and figured out the amount of food the Cook would need to order to feed 70 hungry jacks. After tackling the math, the students were treated to a family style lumberjack breakfast. Students ate sweat pads, logging berries, spuds, cold shuts, porkbelly and blackjack. Thank you to a very special group of parents who helped make this breakfast happen! More photos on the photo page. 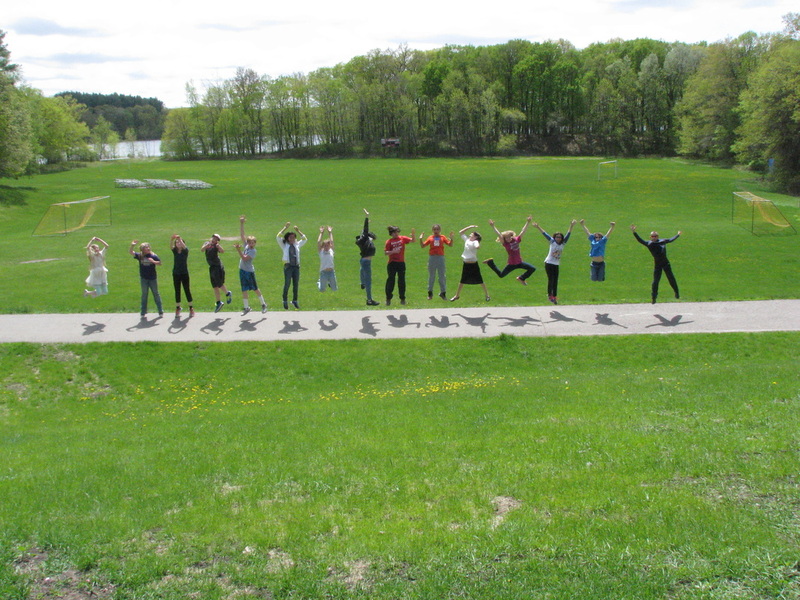 The sixth graders had a fabulous trip to the Audubon Center of the Northwoods. The weather was perfect! The students were so open to trying so many new things! It was a great trip. 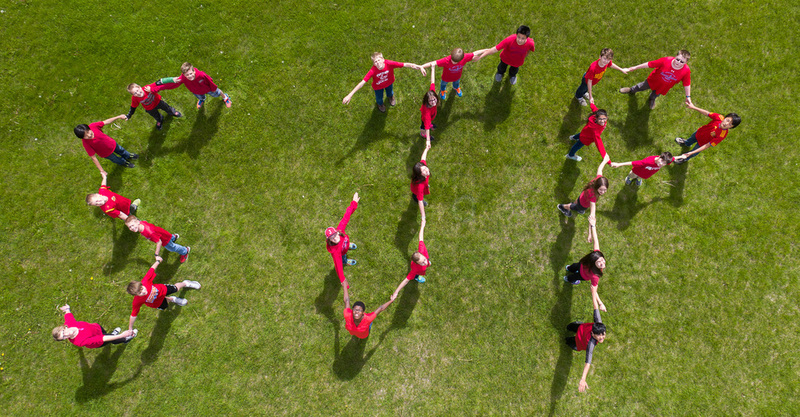 ​The sixth graders had another great year of raising money for Toys for Tots. We held 3 Friday Float sales and raised approximately $500.00 for toys for tots. 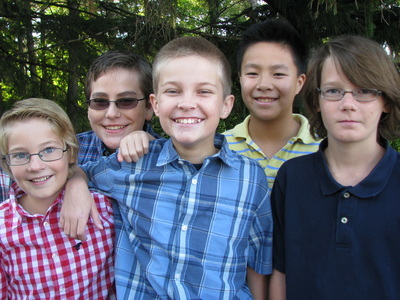 The sixth graders enjoyed their annual shopping trip and a trip to the Great Hall for the delivery of their toys. More photos on the photo page. 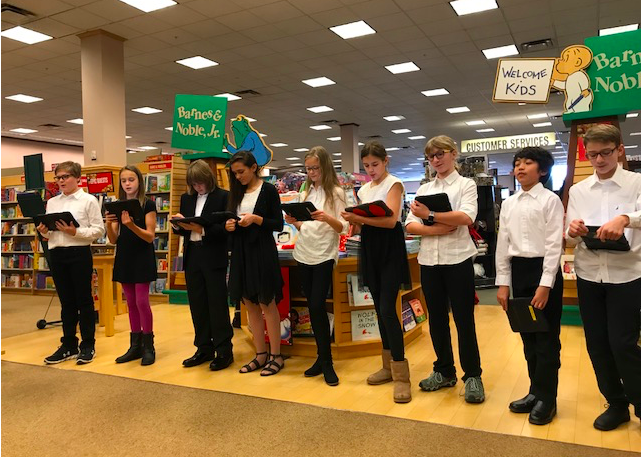 Nine sixth grade students performed at Barnes and Nobel on Sunday for our Saint John's Prep book fair. These students gave up several of their lunch time recesses to practice 4 different story selections. They did an amazing job! 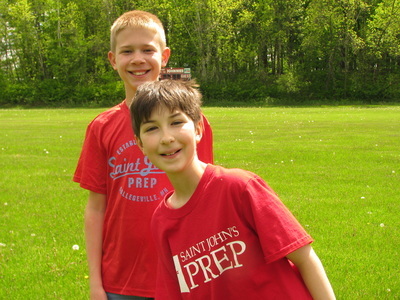 The sixth graders spent part of Halloween afternoon enjoying a orienteering field trip with Saint John's Outdoor University. 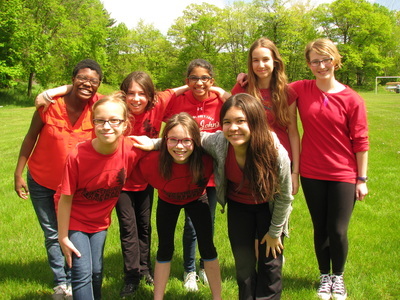 The weather turned out to be refreshing and everyone had fun working their way through the orienteering course. Thank you Saint John's Outdoor University for a great afternoon. Many more photos on the photo page. 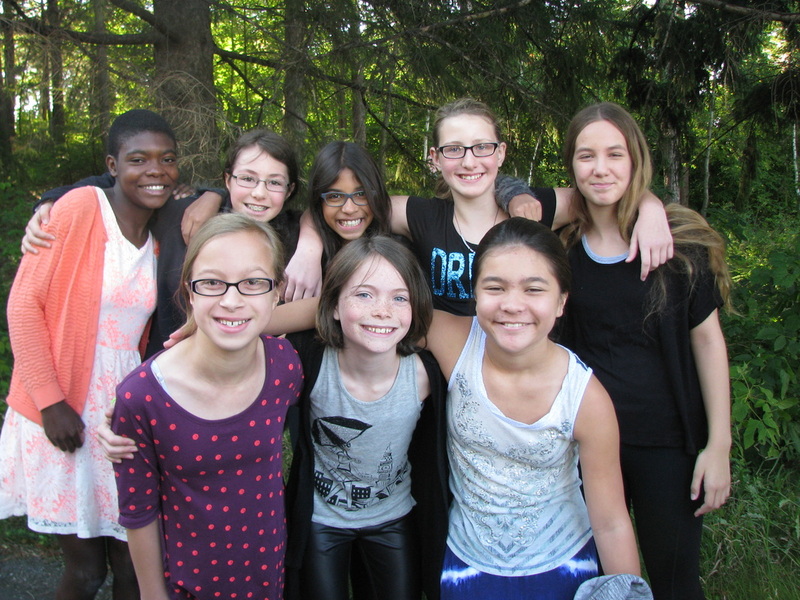 The sixth graders enjoyed celebrating Halloween in school. They painted pumpkins, went trick or treating throughout the school and enjoyed a field trip with Saint John's Outdoor University. Check out the photo page for many great photos from our Halloween fun! 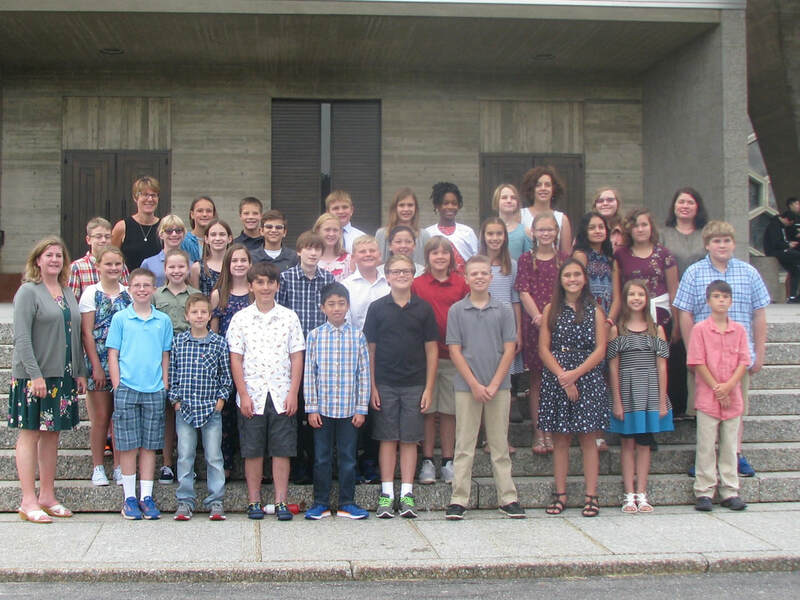 ​The sixth graders had a beautiful gray day for their visit to the cemetery on campus in conjunction with their reading of The Graveyard Book by Neil Gaiman. In the book, the protagonist learns to read by doing grave rubbings. Students enjoyed walking quietly through the graveyard, doing rubbings and reading many of the tombstones. 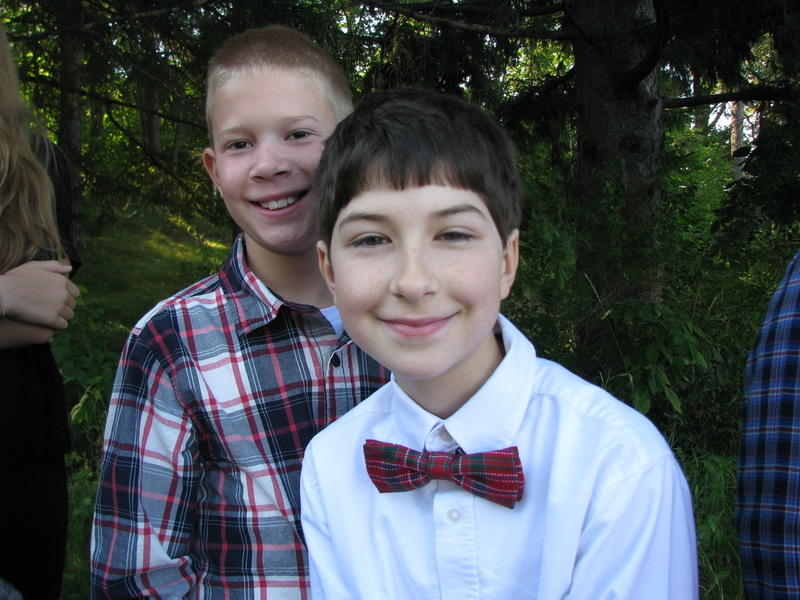 There are many more photos on the photo page. On Wednesday afternoon, the sixth graders grabbed their lunches and headed out on the chapel walk. The woods was beautiful and filled with the colors of autumn. The wind was powerful and cold, but everyone seemed to have an enjoyable walk. There are more photos on the photo page. It was cold, but the sun came out for our paddle on Lake Sagatagan with Wilderness Inquiry. 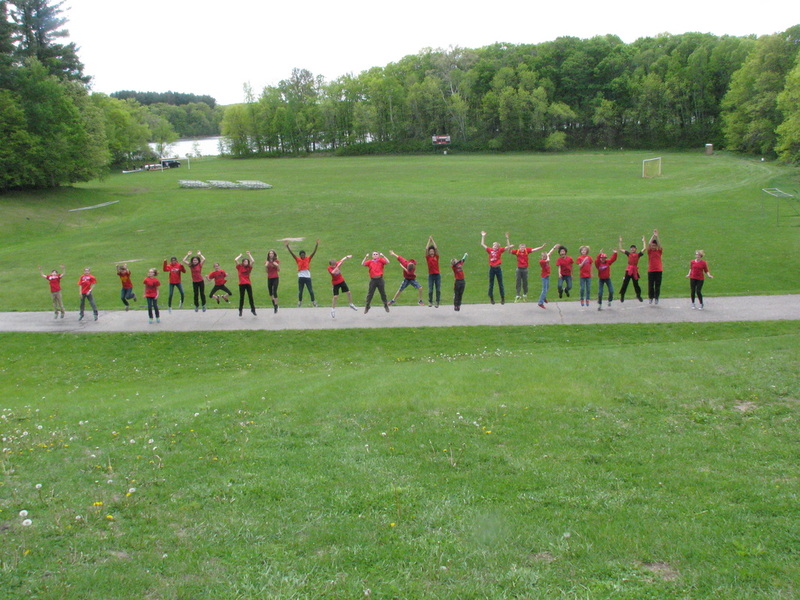 The sixth graders enjoyed paddling in Voyageur style canoes. The groups paddled while singing voyageur songs. It was a wonderful morning on Lake Sag. More photos on the photo page. 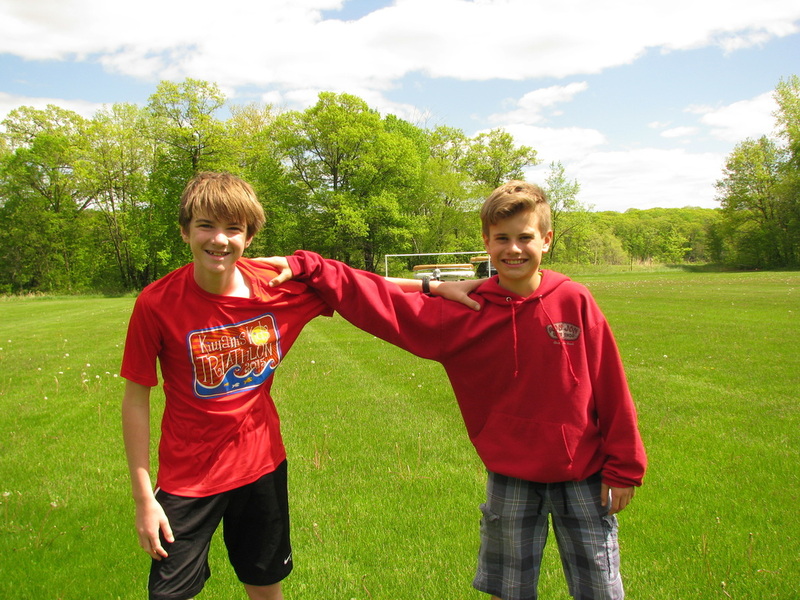 The sixth graders enjoyed a full day of adventure on our trip to the Mille Lacs Lake area. Our first stop was the Mille Lacs Indian Museum. Students enjoyed making dream catchers, exploring the museum, learning native games, learning about native musical instruments and touring the beautiful four seasons room. Our second stop was at Kathio state park where we visited the site of a former Dakota and Ojibwe village and climbed the fire tower. The sun came out for our time at the state park. It was a beautiful afternoon. Our final stop was the Dairy Queen in Milaca. There are many more photos on the photo page. The sixth graders enjoyed harvesting vegetables from our Prep School garden. Tomatoes, peppers, carrots, squash, and basil were all harvested for our soup! Donations from other gardens gave us a plethora of veggies for a delicious soup lunch. Many more photos on the photo page. 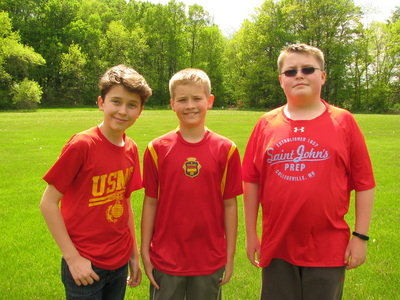 ​The 6th graders had a warm and humid day for our first chapel walk. It was a delightful walk. Thanks to a tremendous group of parent volunteers, the Johnny bread, peanut butter and jelly was quickly distributed. 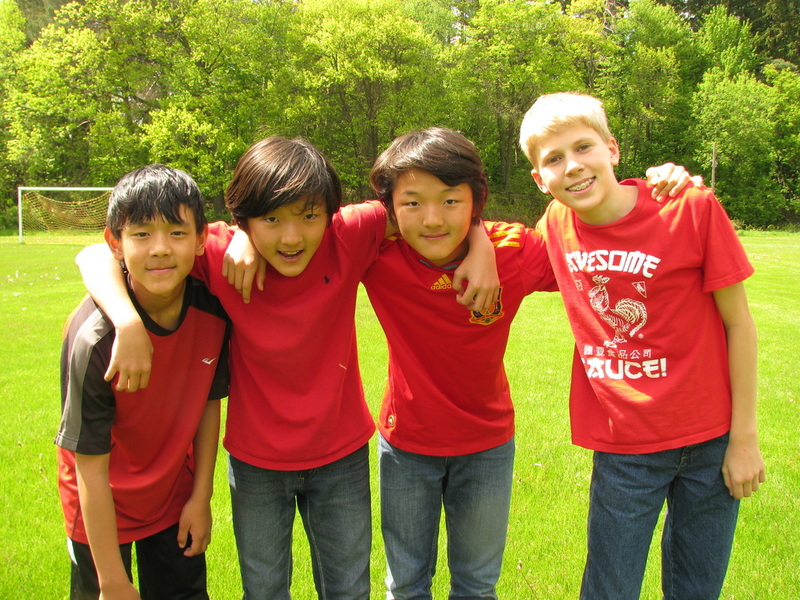 Students enjoyed playing by the water. No one fell in!! More photos on the photo page. We kicked off our school year with an Opening Day Convocation in the Abbey Church. Everyone dressed nicely for the occasion. More photos on the photo page. Last Day of School! Thanks for a Great Year! Our last day walk to the chapel was a little warm and sticky. Shortly after arriving the clouds rolled in and a sound of distant thunder was heard. We ate quickly, grabbed this traditional picture and set off back to school. More photos on the photo page. A Great Day for a Ride! 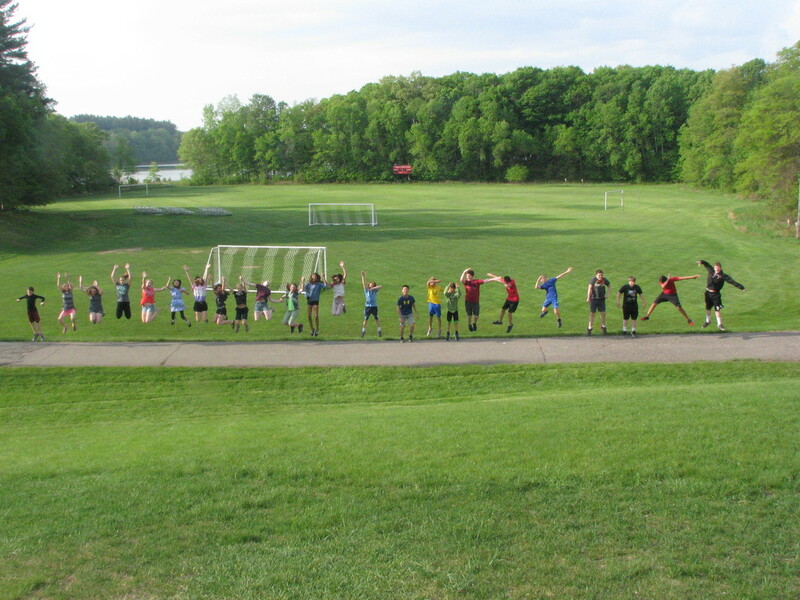 The sixth graders seem to be having great luck with Minnesota weather. Our bike ride day was perfect. It was a pleasant temperature and the wind was light. 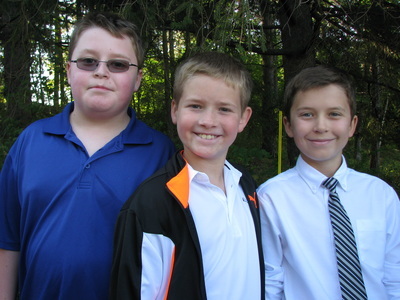 The sixth graders biked from the Prep to school to St. Joe where they enjoyed their own lunch. After playing for quite a while at the park, we biked down to McDonald's for an snack. The ride back is always tough with the hills, but everyone made it back! More photos on the photo page. It couldn't have been a nicer to day to visit the MN State Capitol Building. The sixth graders enjoyed a morning visit with Justice McKeig of the Minnesota Supreme Court. We ate lunch on the Capitol mall area before meeting Representative Bob Loonan from the Shakopee area. He took the students on a great tour of the Capitol which included standing on the senate and house floor. Ms. McCarthy treated us to a DQ on the way home so it was a pretty perfect day! More photos on the photo page. Last Day of School!!!!! Thanks Great Year! It couldn't have been a more perfect day for our last chapel walk of the year. A couple of the boys counted a total of 50 turtles along the way! We enjoyed beautiful sunshine, a cool breeze and a beautiful spring green forest. 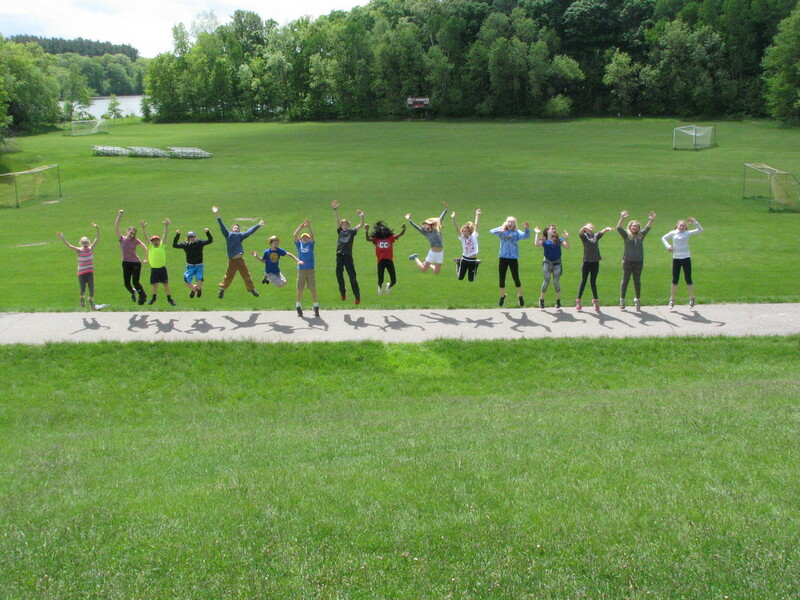 What a great way to enjoy our last day of sixth grade! As always, more photos on the photo page. Partnering once again with our colleagues from Saint John's Outdoor University, the sixth graders participated in Water Week. During this week, the arboretum staff is helping the sixth graders learn more about the water cycle, watersheds, water quality and water conservation. The sixth graders participated in many hands on activities to help them understand the science behind water. They braved cold hands and air as they looked for live organisms in the water. It was amazing what they found! More photos on the photo page. Thanks Sixth Graders for An Awesome Year of Learning and Fun!!! 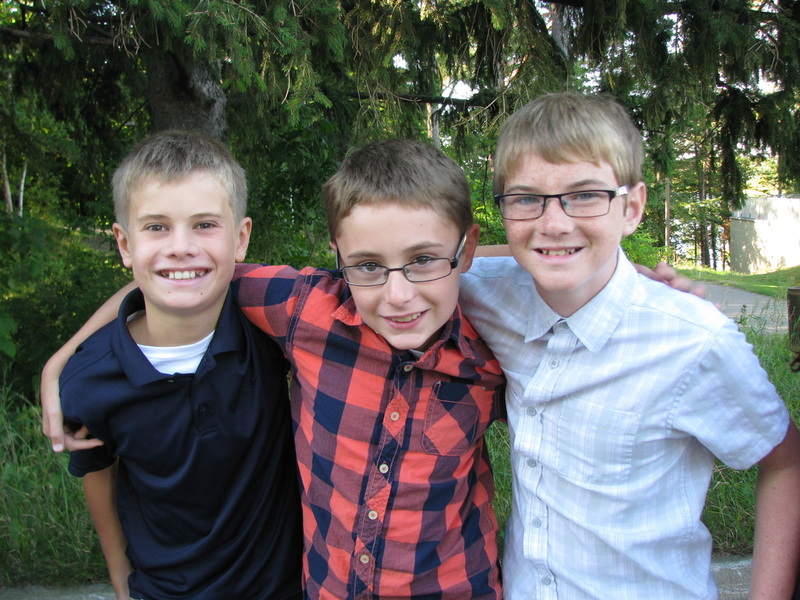 Having recently finished the book, A Single Shard, sixth grade art teacher, Patrick Dwyer led the students to a location on campus where there is abundant clay. Just like the character in the book, the students dug clay and hulled it back to school. Their next step will be to drain the clay to get it ready to mold into whatever they wish. It will be several weeks before the projects are finished, but they will have stepped into the life of the main character of the book. More photos on the photo page.